Madalene School was in operation for 22 years. Opened in 1948, the school's first principal was Sister Elizabeth, followed by Sister Modesta, who became principal six years later. The school gradually expanded and at one point had approximately 400 students enrolled. At this time there were eight grades with six teaching nuns and two lay teachers. The two lay teachers were Mrs. Masel and Mrs. Morehead. The church also built two new classrooms for primary grades. Madalene School, as well as the Church of the Madalene, was very much a product of parish involvement. A bookkeeping system was set up by Dottie Mica and Robert Skeshan, an accountant. Sports activities were important. Teams often excelled in their division attested to by the many awards still on display in the trophy case. These sports activities were made possible by many men of the parish under the leadership and coaching of Robert Shaw, Hal O'Halloran, and Glen Dobbs, to name just a few. Academically, the school also excelled and the students received many awards. 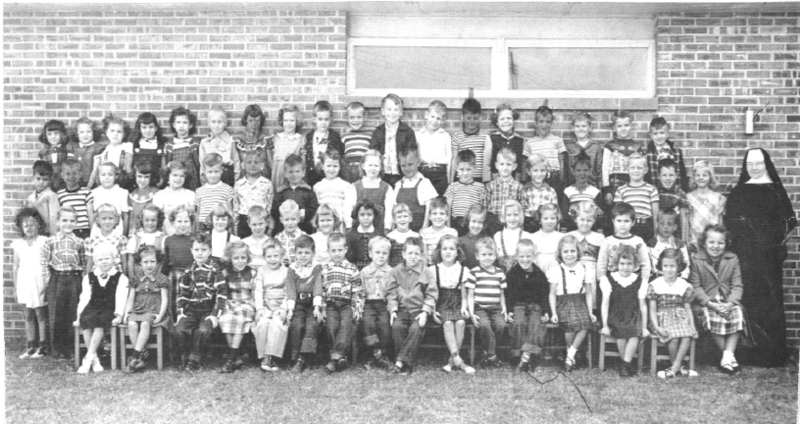 Due to large enrollment and limited classrooms, there were a few years when first grade students attended school for only half a day. At one point, there were 98 students enrolled in first grade. Since Holy Family School had very few students in the early grades, Madalene first-graders were bused to Holy Family School in downtown Tulsa. However, continued swelling of enrollment forced several grades to be combined in one classroom. Since this proved to be an unsatisfactory arrangement, the first grade was closed in 1960. During the 1960's, financial pressures became a major concern. Although the nuns and lay teachers worked for very low salaries and many parents volunteered their services in numerous ways from assisting in the cafeteria, working on the playground as supervisors, running the library, etc., the cost of meeting requirements to maintain state accreditation became unfeasible. Madalene School closed in 1970. Additional Principals were: Sister Pancretia (1957-59), Sister Antonette (1959-62), Sister Imelda (1962-66), Mrs. Mary Cherry (1966-67), Mr. Robert Shaw (1967-70), and Sister Better (1970). The Benedictian Sisters staffed Madalene School since it opening.